Once eligibility is determined, the Financial Aid Office offers students a package which may include a combination of grants, scholarships and employment. 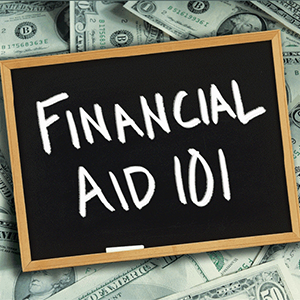 Enrolled hours, residency classification, cumulative grade point average, and other financial assistance already received will affect the amount and type of financial aid students can be awarded. The Federal Pell Grant Program provides need-based grants to low-income, first-degree undergradaute students to promote access to postsecondary education. Grant amounts are dependent on the student’s expected family contribution (EFC); the cost of attendance (as determined by the institution); the student’s enrollment status (full-time or part-time); and whether the student attends for a full academic year or less. In order to apply for a Pell Grant, students must complete the Free Application For Federal Student Aid (FAFSA). The Federal Supplemental Education Opportunity Grant (SEOG) is a non-repayable, federally funded, college-based program for undergraduate students receiving their first bachelor’s degree. Awards are made to early applicants who demonstrate the most financial need and have the lowest Expected Family Contribution (EFC). The Go! Grant is based on financial need and helps low-income students complete their college degrees. Eligibility is based on the family’s adjusted gross income as reported on the Free Application for Federal Student Aid (FAFSA). Federal work-study is a federally-funded, need-based financial aid award. It is a college-administered program designed to help students defray the costs of post-secondary education. Students are paid for hours worked, based on official time sheets, submitted by the employing department, through the college payroll system. Work assignments are made by the Financial Aid Office. The Workforce Improvement Grant assists students who are 24 years and older, who file a FAFSA, who are not eligible for a Pell grant or other state aid to cover educational expenses, and who have not yet earned a bachelor’s degree. Eligible students may receive up to $2,000 per year toward tuition and mandatory fees.